*[UPDATE] Fred Putnam has published Toward Reading & Understanding Biblical Hebrew, a complete 343 page grammar he has developed over many years of teaching. This textbook is intended for a university classroom. It is divided into thirty lessons, corresponding to the typical thirty-week academic year. Following the sequence of lessons will provide the average student with a cutting-edge understanding of ancient Hebrew grammar and will enable the student to read both prose passages and less complex poems from biblical and non-biblical texts. Additionally, the textbook introduces the student to the standard Biblical Hebrew lexicon [BDB] and includes an appendix on the Masoretic “accents,” which may be incorporated into the sequence of lessons at whatever point the instructor desires. Thank you to Cook and Holmstedt for sharing this resource which looks to be a competent and reliable guide. UPDATE: 2008.03.14 - SCSaunders on the BibleWorks forum found a few more resources worth noting. *A helpful, well organized PDF Hebrew Verb Chart. UPDATE: 2008.03.15 - The hits keep coming! *Davar Biblical Hebrew Vocabularies from the University of Auckland (noted by Tim Bulkeley in the comments) - Great vocabulary tool; sort by Hebrew, English gloss, root, semantic domain, or frequency. **CHECK THIS SITE: I had forgotten the list of Hebrew study resources provided by Ralph Klein from the Lutheran School of Theology in Chicago. (From the menu on the left, use "Biblical Studies Misc" > "Hebrew") Quite a few PDF Hebrew Helps files of his own along with links to Vocabulary aids, Lexicons, Grammars, and more. If you know of other resources, please share the links with us. BTW, for an excellent summary of Hebrew grammars available for purchase, check this post over on Codex. Thanks Tim, I just bookmarked the page. You can learn the basics of Biblical Hebrew grammar (and more) at the Hebrew4Christians site. It's free with plenty of PDF downloads and audio files. Thanks for those links on the Hebrew text. If you get any more links like these to resources for Biblical Hebrew, please keep blogging about them! more widely accepted and the benefits are backed up by a range of studies. Your link to the Codex post on Hebrew grammars is broken. 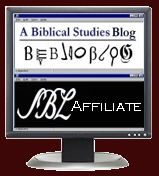 The correct one now is: http://biblical-studies.ca/hebrew/intro-hebrew.html. I htink the difference might be an underscore in your link vs. a dash in the correct one. Extremely helpful post! Thank-you very, very much.